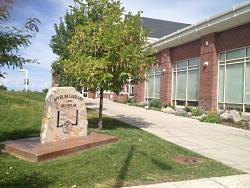 There’s a small, but very engaging museum underneath the public library in Hyrum UT. 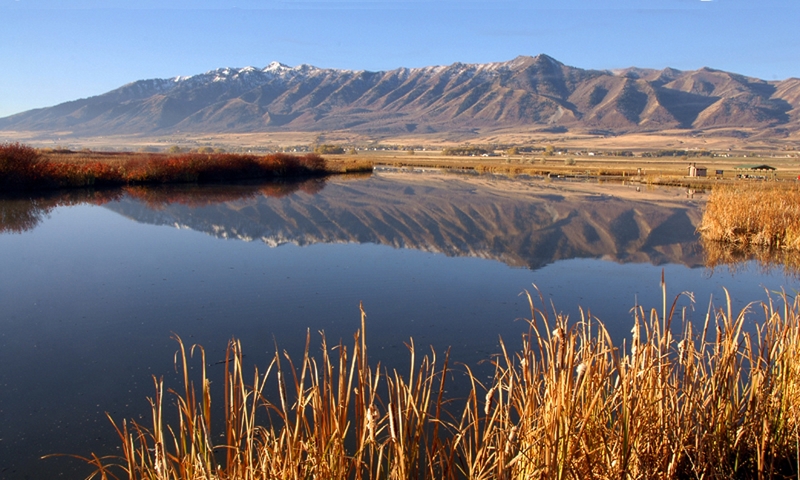 This museum showcases a number of artifacts reflecting the history, customs and environment of Cache Valley. When I first visited in 2009, a couple of odd items caught my eye. One was an enormous hairball that had formed in the stomach of a Cache Valley cow. Such hairballs are called bezoars, a Persian word meaning “antidote.” Centuries ago, bezoars were believed to be a universal antidote that could neutralize any poison. The other odd item at the museum was a camel tooth. Now a cow hairball can seem geographically appropriate as Cache Valley has plenty of cows. But why would a camel tooth be in a museum about the history of Northern Utah? 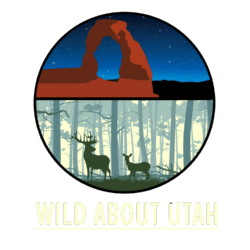 Well it turns out that this particular tooth belonged to a native Utah camel species. 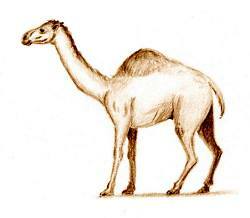 It most likely came from we now call Yesterday’s camel (or Western camel) which lived over 10,000 years ago. This camel was twenty percent larger than a dromedary and had a longer, narrower head and thick muscled lips. Its footpad was soft and toes were splayed, approaching the foot structure of modern camels. 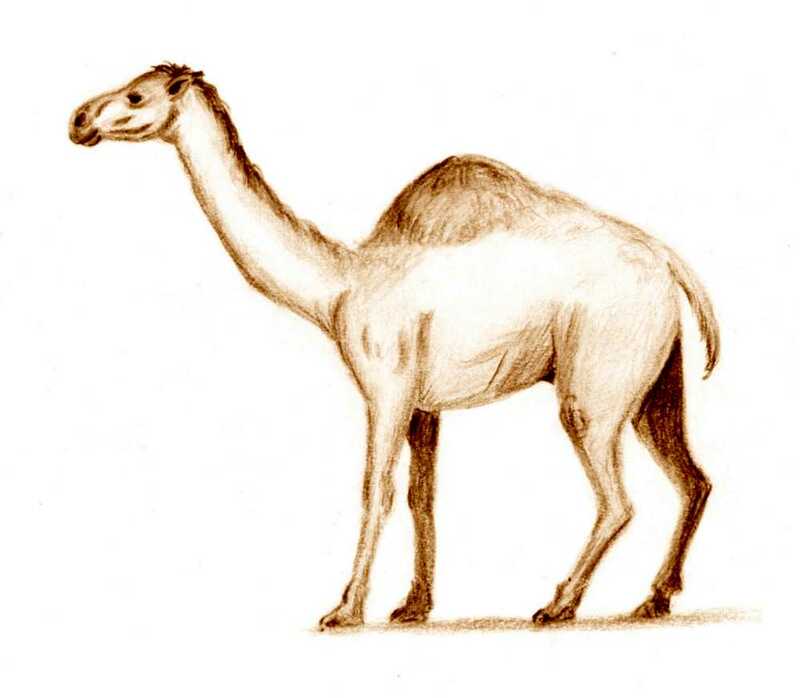 We don’t really know whether or not Yesterday’s camel had a hump. 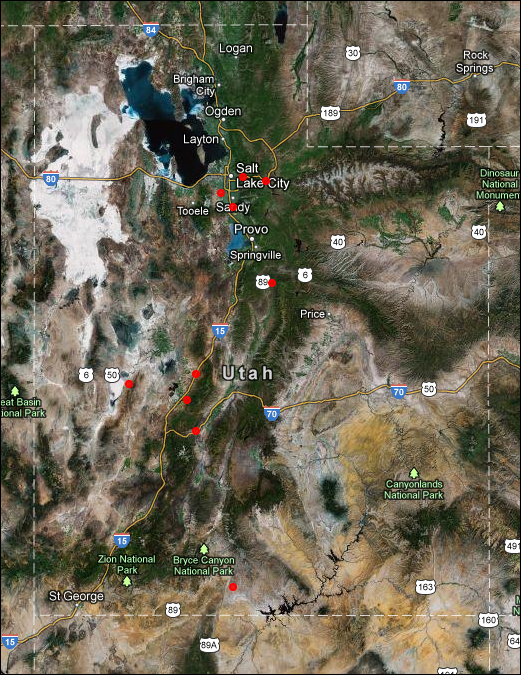 Remains of this Pleistocene ancestor have been found throughout the American West and in a number of UT locations. Further, I was surprised to learn that camels are a purely North American invention, first appearing some 40- 50 million years ago. At the peak of their North American career–during the Miocene–there were 13 genera of camels. Overall, at least 95 species in 36 genera have been described for this continent alone. The earliest camel was no more than 2 feet high. After that we find camel legs and necks grew longer to allow browsing on trees and shrub tops. One particular species (Aepycamelus giraffinus ) stood 19 feet high. Essentially this camel had become America’s giraffe on what was then a Serengeti-like plain. Other camels resembled gazelles, and still others looked more like the camelids of today. 4 million years ago, camelids first crossed the land bridge to Eurasia . Living in Eurasian deserts, they evolved into arid land specialists with a remarkable physiological capacity for water conservation. Other North American camelids drifted south to colonize South America. They evolved into today’s llamas, guanacos, alpacas, and vicunas—all high altitude grazing specialists. After a few waves of migration, camels suddenly vanished from their birthplace. In fact much of the North America’s megafauna suddenly vanished in the late Pleistocene. Perhaps due to human hunting, perhaps climate change. We may never know for sure. But one thing is clear to me now–a camel tooth definitely has a place in a Utah history museum. Flannery, Tim. 2001. The Eternal Frontier: An Ecological History of North America and its Peoples, NY: Grove Press.